In order to purchase Stage 1 you are required to provide Chrysler with the mileage? I was on whykoff's website and they are asking for the mileage statement using a "transfer of ownership" form. What gives? YES YOU ARE, YOU HAVE TO PROVIDE MILEAGE AND VIN. i don't know why they are using a transfer of milage form, unless that is just a good good form for them . when i order my stage 1 kit i don't fill out any forms i just take the info and inpuit it into chrysler to orde the kit. Tommy ... I'm not too keen on using a "transfer of ownership" form simply for Stage 1; since the bottomline is they would have a signed version of this form (no matter what circumstances the form was signed under.) You sell Stage 1? At what price? And how long will it take to get to me? 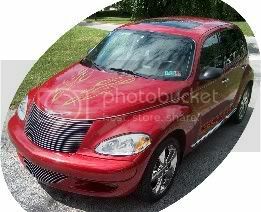 Can you at least match the Wykoff price with the ptcruiserlinks 5% discount? I'd be interested! I just ordered mine through 1sChrysler and they only asked Vin #, no mileage and there was not a form involved. I gave them my Vin and mileage but again just as a note in their order form.